The federal tax code is remarkably complex. Every year, American households and businesses spend more than 8.9 billion hours complying with federal tax filing rules, at a cost of more than $400 billion to the U.S. economy. Moreover, the federal tax code has generally gotten more complicated with each passing year. 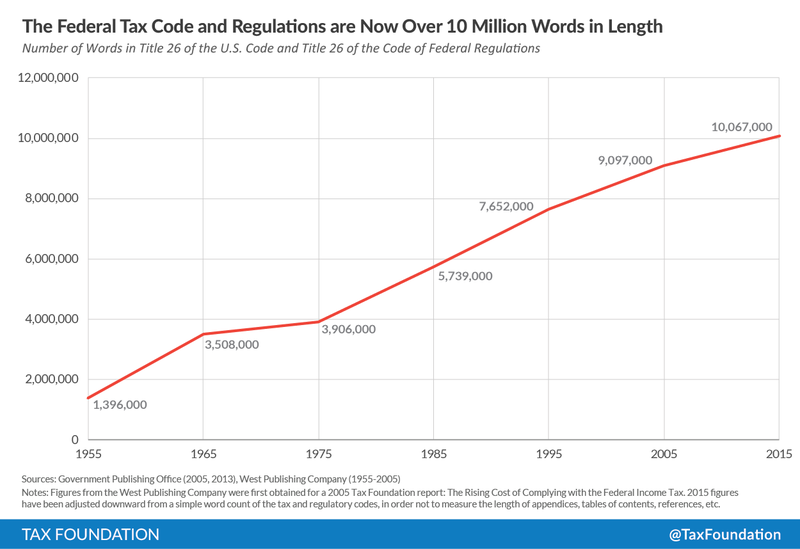 In 1975, federal tax laws and rules totaled about 3.9 million words; today, the tax code and associated regulations are over 10 million words in length. When households file their individual income tax returns, they are allowed to claim a standard deduction of $6,350 for singles and $12,700 for married joint filers. However, households can choose to forgo the standard deduction and instead deduct a wide range of household expenses such as mortgage interest payments and gambling losses, which are known as itemized deductions. Most households choose to take the standard deduction, but about 30 percent choose to itemize. The process of deciding whether to itemize deductions is relatively complex. Households must track and record their relevant expenses throughout the year, consult IRS rules to determine which expenses can be deducted, and determine whether their potential itemized deductions exceed the standard deduction amount. One way to spare many households the trouble of calculating their itemized deductions is simply to increase the standard deduction substantially. The larger the standard deduction is, the more households can safely assume that they will fare better by taking the standard deduction, leading fewer to itemize and making their tax filing process simpler. A number of recent tax plans have proposed a large increase in the standard deduction, including the plan released last summer by House Republicans and the proposal released in April by the White House. Another approach to reduce the complexity of itemized deductions is simply to eliminate some from the tax code. There are over a dozen itemized deductions that taxpayers are eligible to claim, each with its own rules and regulations. While many of these deductions are associated with particular policy goals (such as providing fiscal assistance to state governments or promoting homeownership), they are often poor vehicles for achieving these ends. The more deductions that lawmakers eliminate, the simpler the tax filing process would be for U.S. households. Not only would taxpayers have fewer tax provisions to comply with, but reducing the number of itemized deductions would increase the chance that households would choose to take the standard deduction, the more simple option. One common strategy when putting together a tax reform plan is to eliminate itemized deductions while lowering individual income tax rates. Eliminating itemized deductions would increase federal revenue, while lowering tax rates would decrease it; doing both at the same time would leave federal revenue unchanged, but would result in a simpler tax code. As one example of this approach, the tax plan released by House Republicans last summer would eliminate all itemized deductions besides the mortgage interest and charitable contributions deductions, and would use the revenue to lower the top individual tax rate to 33 percent. The individual income tax contains several provisions that lower taxes for households with children and dependents. These include: the child tax credit, the personal exemption, the earned income tax credit, the child and dependent care credit, and the head-of-household filing status. Navigating each of these different provisions makes the tax filing process more complicated for families with children. For instance, many of these provisions use inconsistent definitions of “child.” The child tax credit can be only be claimed by households with children under 17, while the personal exemption applies to children under 19 (or students under 24). These different definitions likely cause confusion for taxpayers and may lead to errors in filing. In addition, several of these provisions are complex for households to calculate and are subject to a number of detailed eligibility rules. There have been a number of proposals to align and consolidate the various family-related provisions in the tax code. For instance, the House Republican tax plan would eliminate the personal exemption for children, and would use the revenue from doing so to increase the child tax credit. The Tax Policy Center also has a good paper outlining how the child-related portions of the earned income tax credit could be combined with the child tax credit to create a simpler and more understandable system of family credits. One of the most confusing parts of the tax code for many households is the sheer array of tax-advantaged savings programs that are available. In any given year, a household might direct contributions into a traditional IRA, a Roth IRA, a SEP IRA, a SIMPLE IRA, a 401(k) plan, a 403(b) plan, a 457 plan, a 529 qualified tuition program, a Coverdell education savings account, a health savings account, or an ABLE account. Each of these savings programs is subject to a different set of rules regarding eligible participants, contribution limits, available investments, permitted withdrawals, required distributions, penalties, rollovers, and a variety of other details. 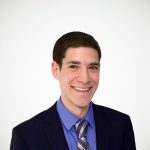 There are entire professions devoted to helping households navigate their options for contributing to a tax-advantaged savings program, as well as ensuring that the plans in question comply with federal regulations. These programs serve an important function: they mitigate the double taxation of personal savings, by eliminating one of the two layers – taxes on savings contributions, or taxes on the return to saving. However, they also create a headache for households deciding where to save their money. To the extent that lawmakers can combine these programs or adopt a common set of rules for them, they could make the tax system significantly less confusing for households looking to save. A particularly complicated feature of the individual income tax code is the existence of the Alternative Minimum Tax. The AMT essentially functions as a parallel tax system to the normal individual tax code, with a separate set of rules and tax rates. As a result, many taxpayers are required to calculate their tax liability twice: once under the regular tax system and once under the AMT. While originally created in the 1960s to address tax avoidance by very high-income individuals, the AMT now applies to about 4 million households, most of whom make less than $1 million. And the compliance burden of the AMT extends further than that: in 2014, about 10 million households were required to fill out Form 6251 to determine their AMT liability, even though only about 4 million were ultimately subject to the tax. Several recent tax plans have called for the AMT to be eliminated outright, including the House Republican tax plan and the White House outline released in April. Eliminating the AMT would make the tax system less complex for millions of households, by sparing them from having to calculate their tax liability under two sets of rules. Of course, all of the ideas listed above come with trade-offs. For instance, eliminating itemized deductions would put an end to some programs that are much beloved by U.S. households, while repealing the AMT would reduce federal revenue. Lawmakers should be aware of these trade-offs as they work to craft a tax reform bill that simplifies the U.S. individual income tax. After all, when the federal tax code is complex, there’s often a reason for it – whether a good or bad one. Sometimes the tax code contains complex rules in order to prevent avoidance facilitated by creative tax planning. Other times, the tax code is complex because of lawmakers’ desire to target benefits to specific constituencies. Any good tax reform bill will take these considerations into account as it works to create a tax code that is more understandable and easier to comply with.